Color Burst was photographed in late September 2018 in the Central Delaware Basin just below the New Mexico border. By the end of September drier air begins moving into the Delaware Basin allowing for high visibility and brilliant sunsets each evening. 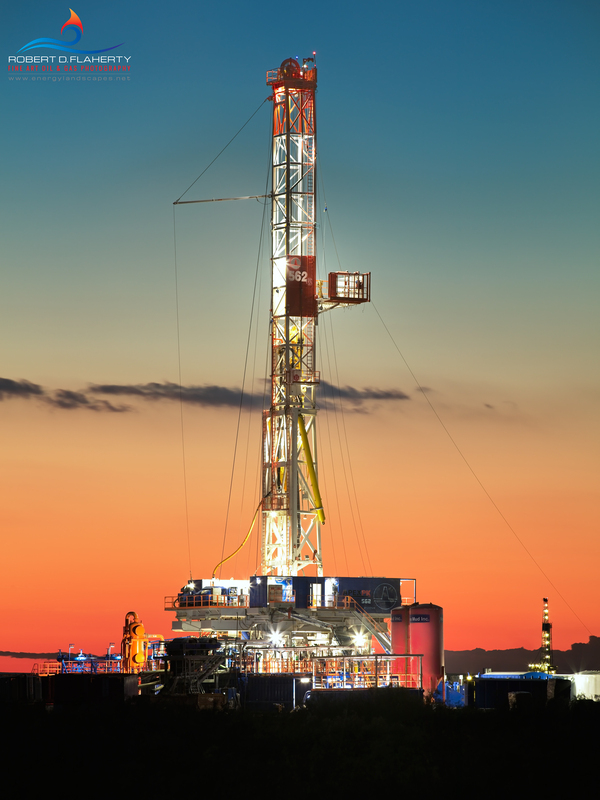 The image features Patterson UTI Rig 562 drilling a directional well for Chevron. Photo © copyright by Robert D. Flaherty.